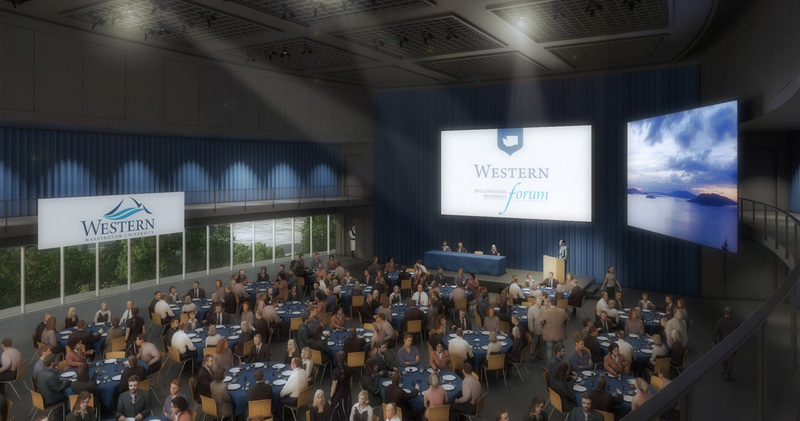 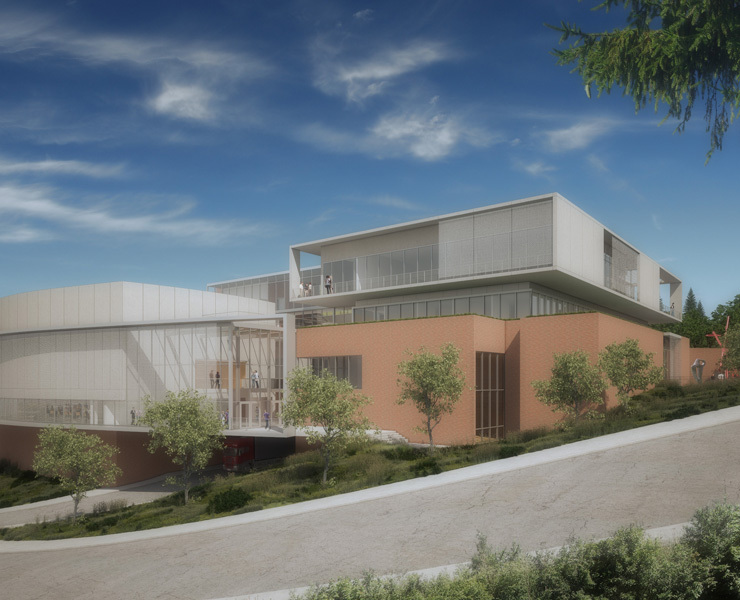 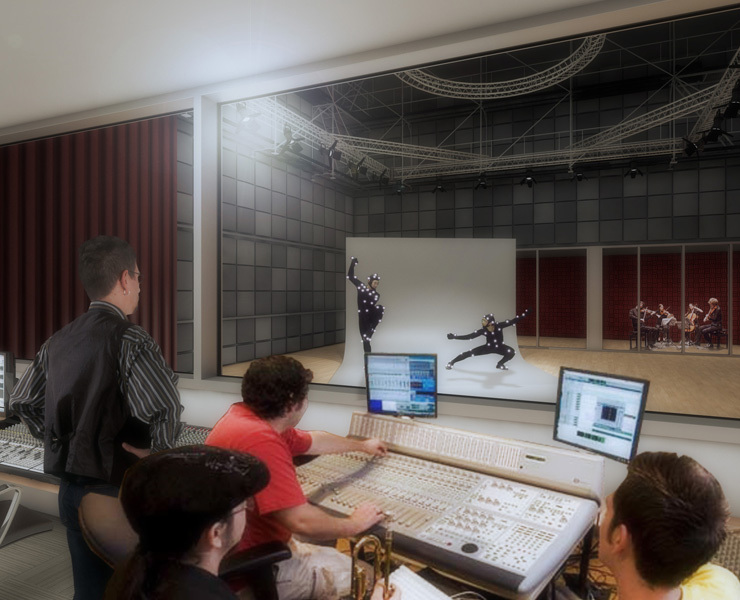 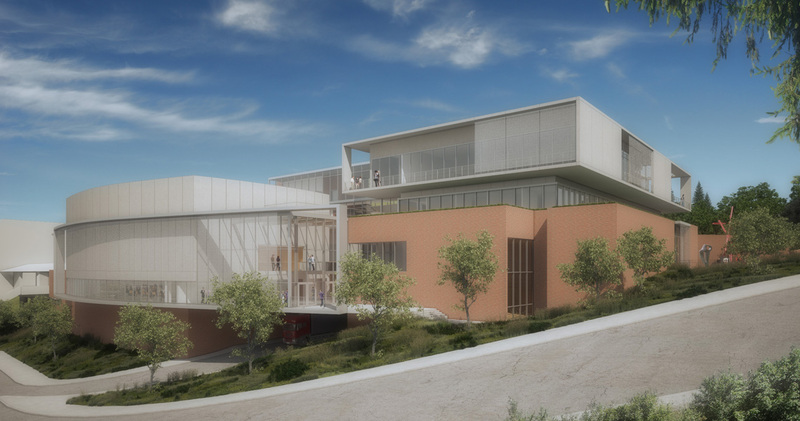 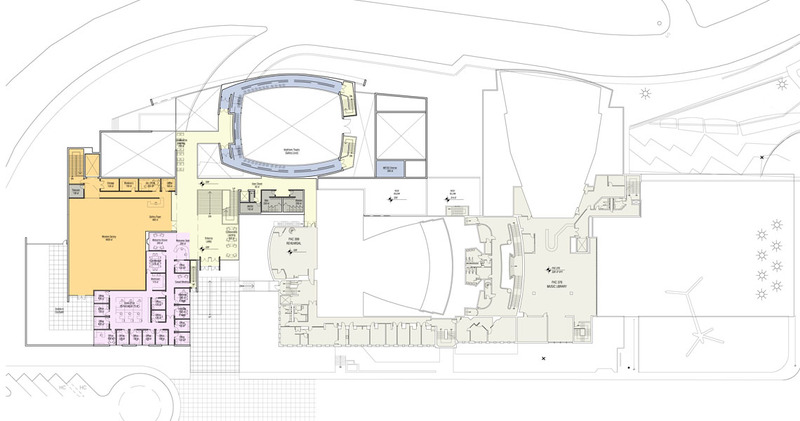 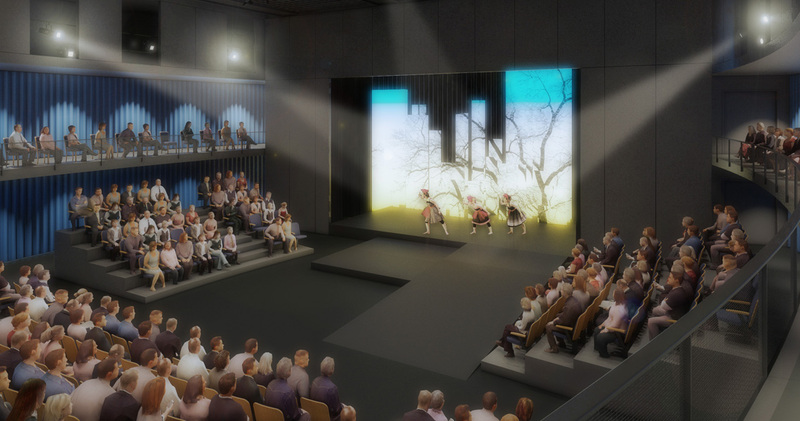 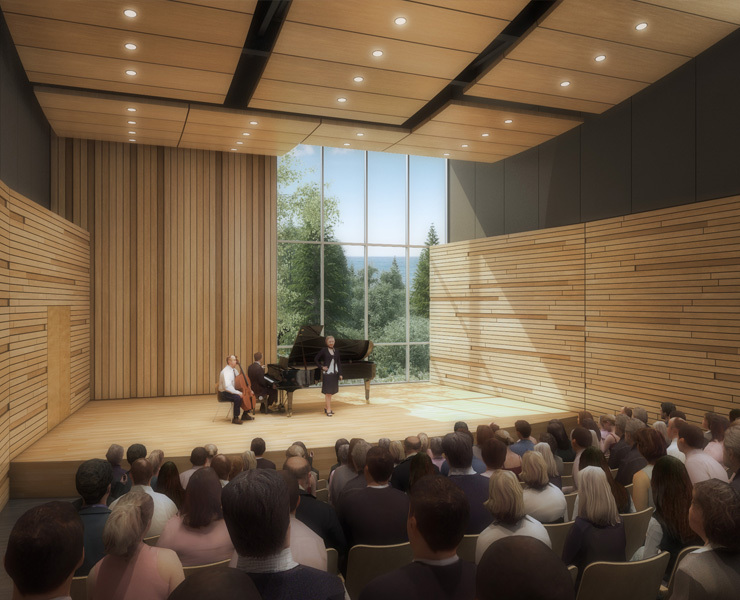 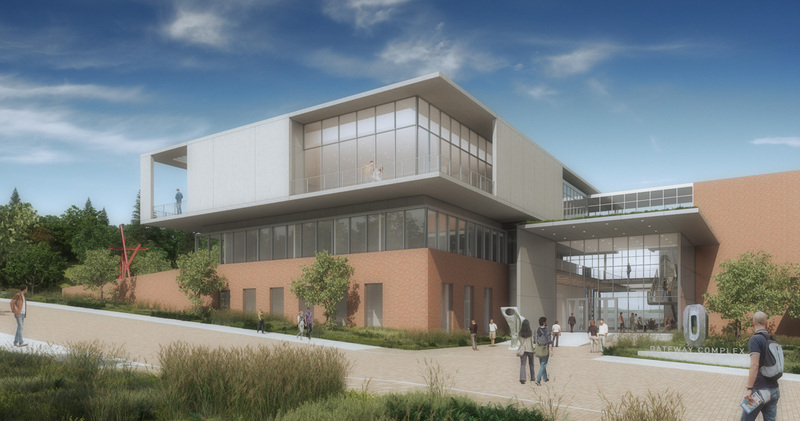 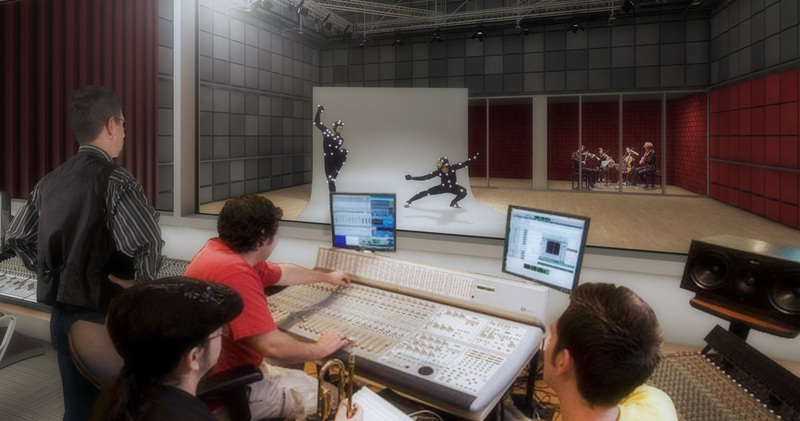 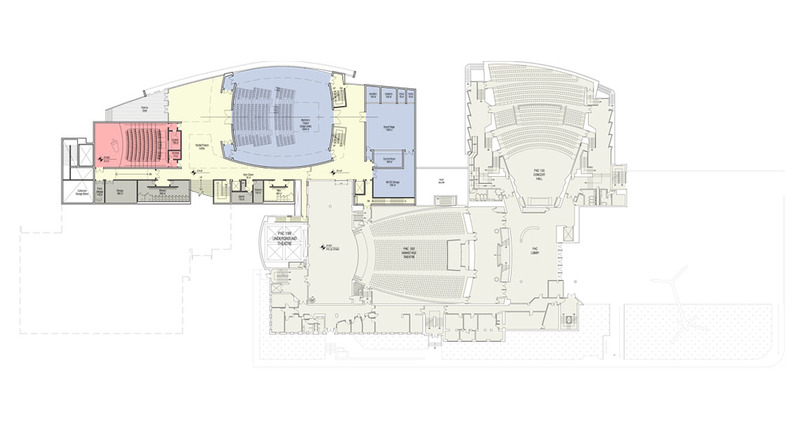 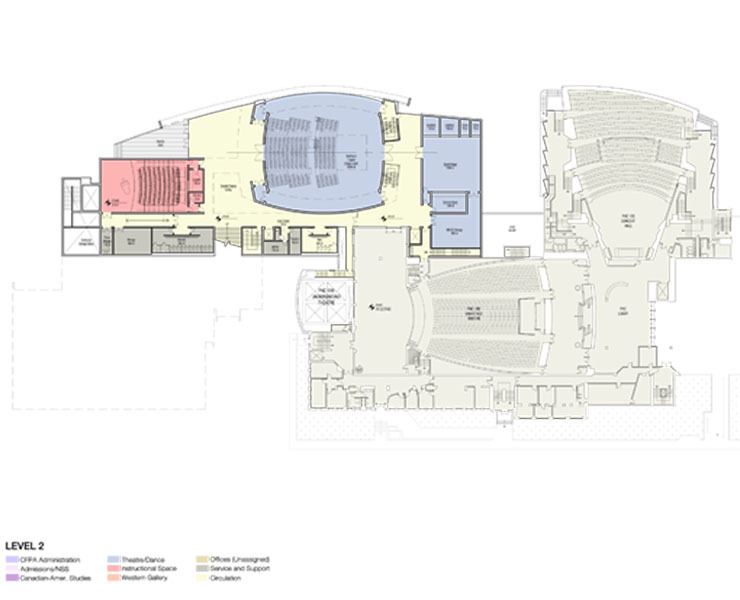 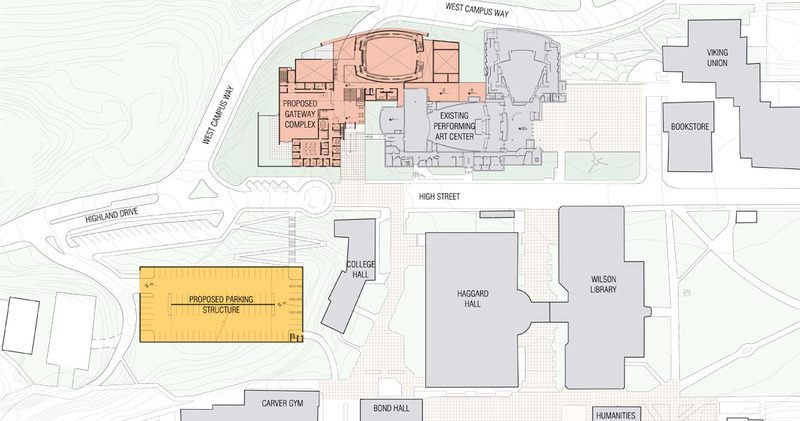 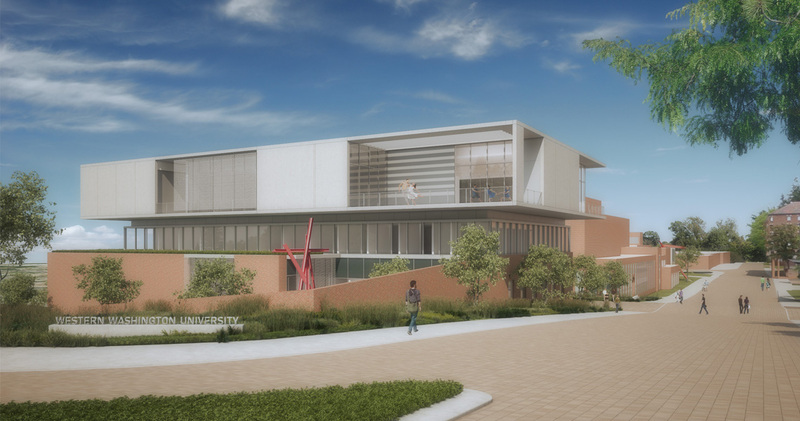 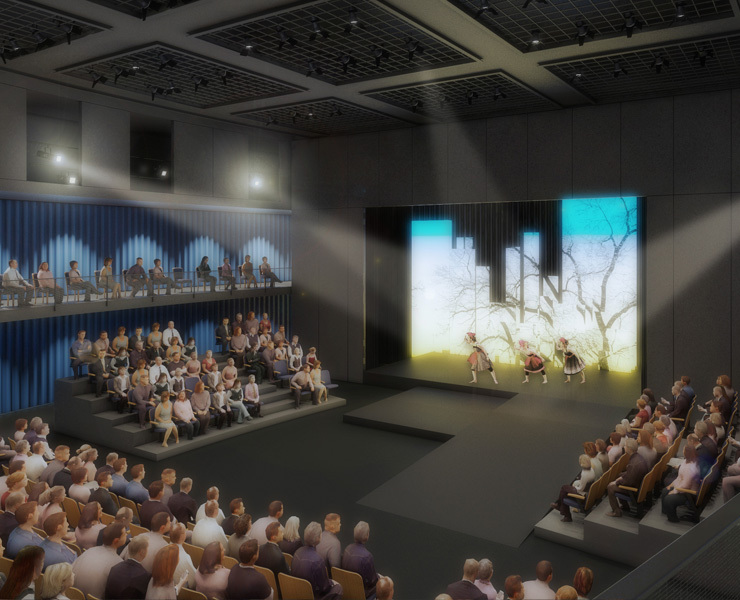 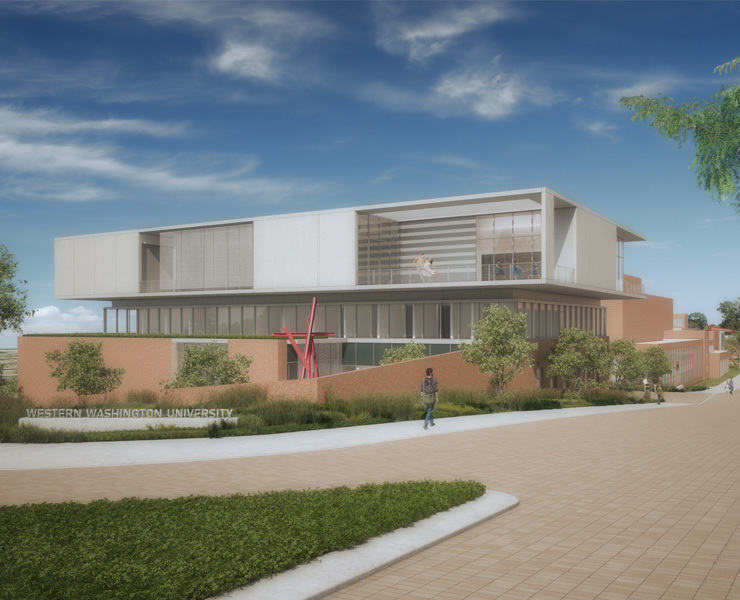 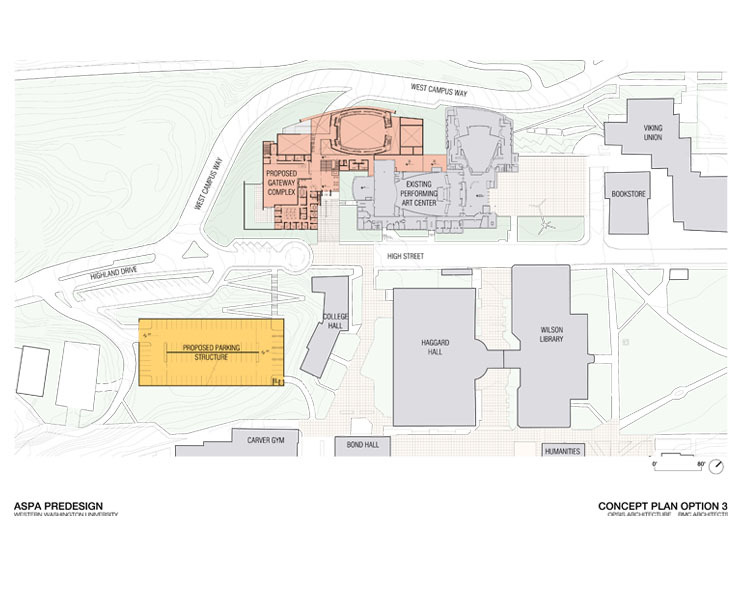 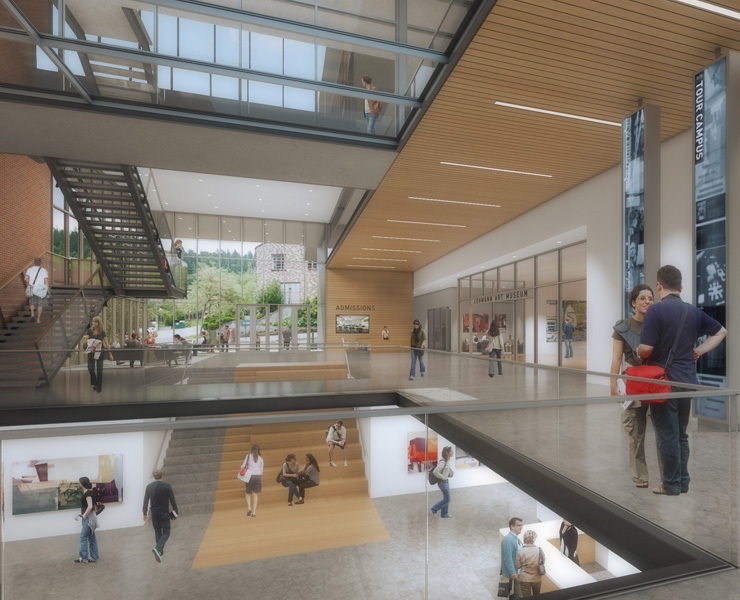 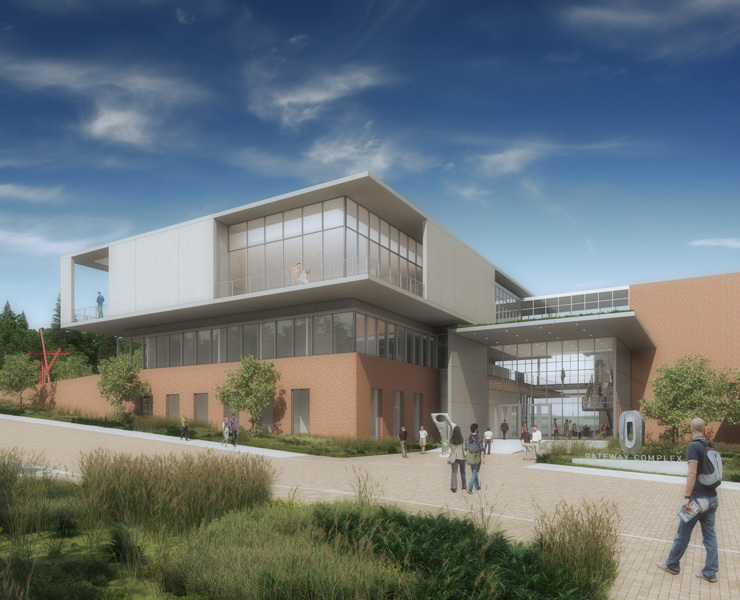 The Gateway Arts Center will define the entry threshold to Western’s core academic campus which strengthens WWU’s connections to the greater Bellingham and regional community. 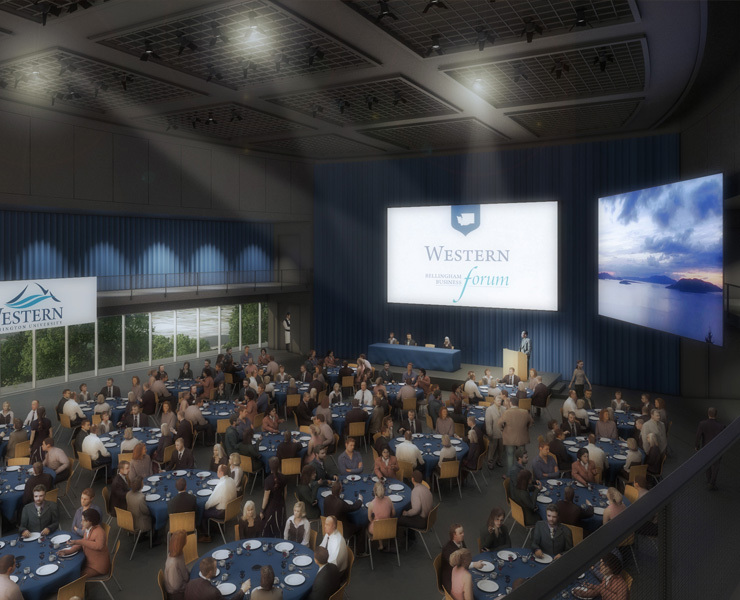 The 98,000 sf facility will contain public-oriented front door programs such as the Admissions Center, music and theatre performance venues, and the Western Gallery (art museum) with outdoor sculpture courtyard, and a high density parking structure nestled in the hillside. 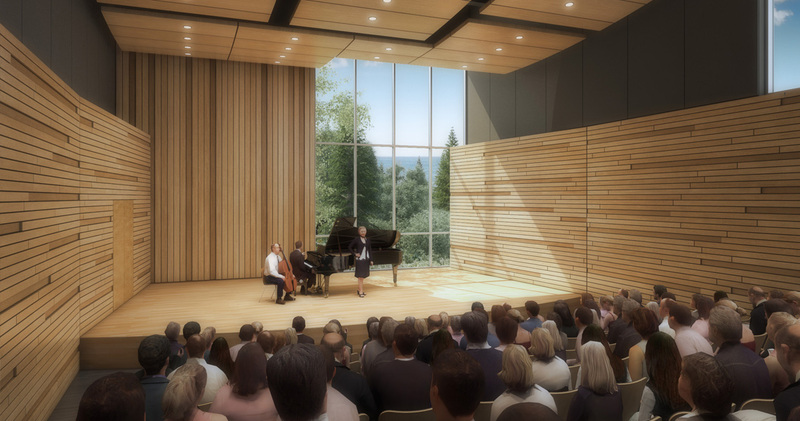 The architecture of the Gateway Arts Center will embody the qualities and traditions of Western’s campus while creating an open and inviting expression that integrates the adjoining Performing Arts Center and dramatic views overlooking Bellingham Bay. 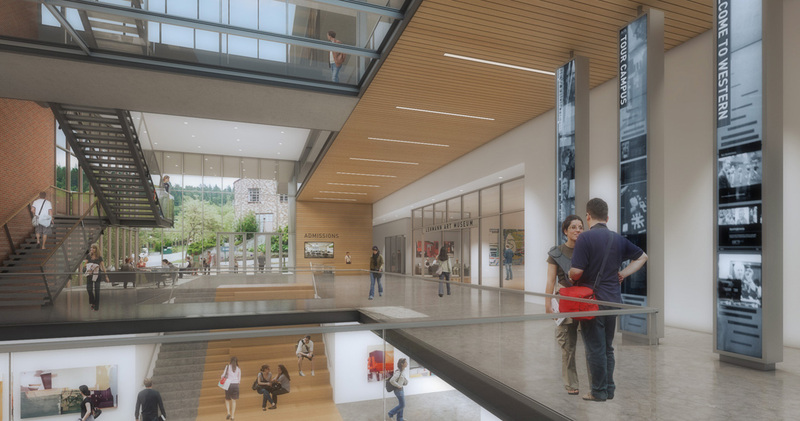 The Opsis / Marcy Goodwin team programmed and planned the Western Gallery to meet museum accreditation standards and educational goals for academic learning and community outreach. 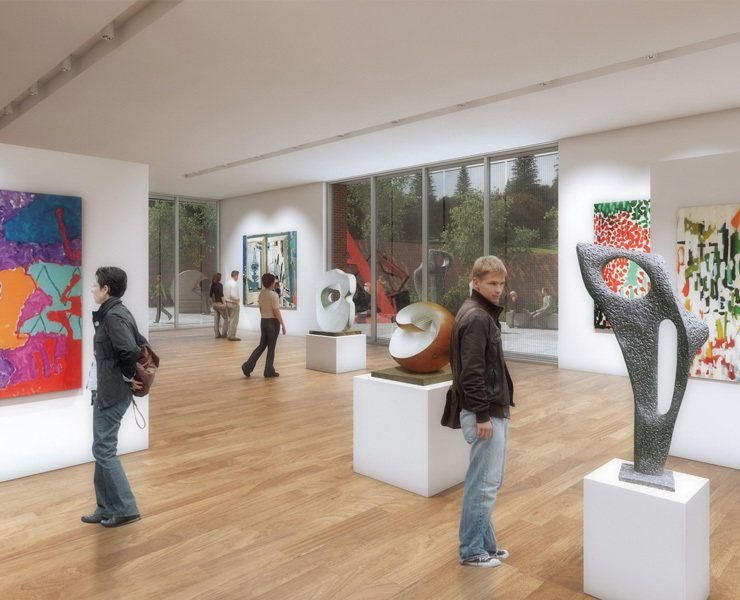 The gallery exhibition space will visually connect to an outdoor sculpture courtyard, introducing visitors to Western’s internationally renowned outdoor sculpture collection. 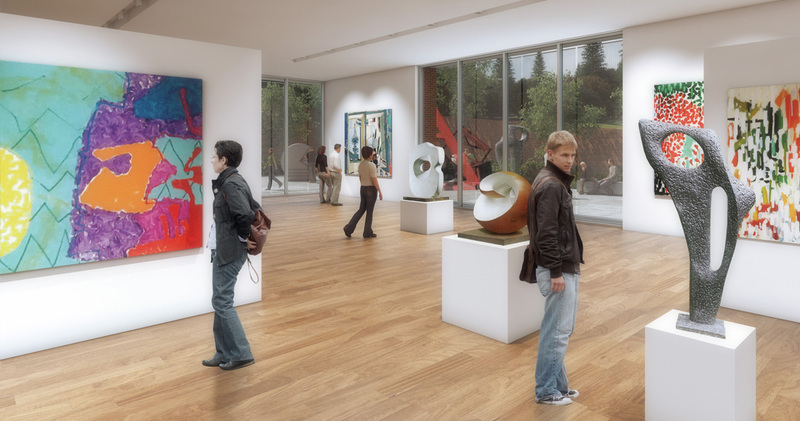 Sliding floor-to-ceiling exhibition panels allow the gallery to close off natural light depending on the exhibition needs. 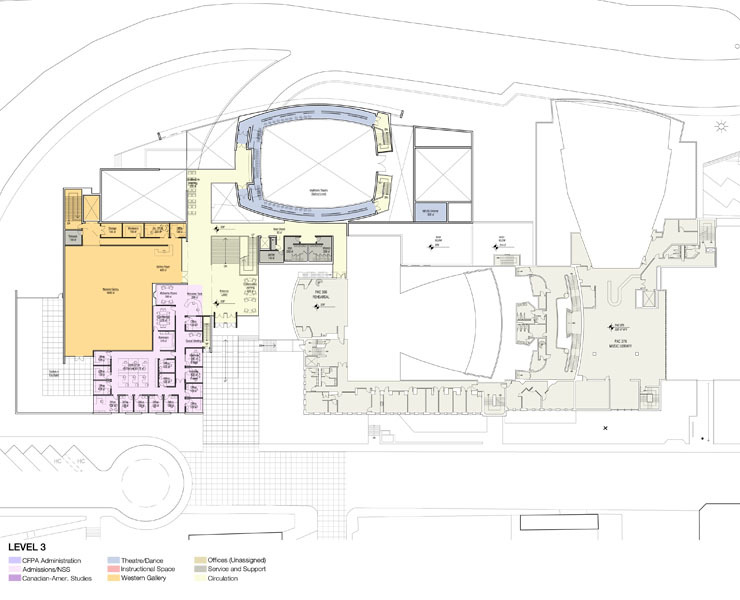 Service access is provided at the lower level with a dedicated covered loading dock. 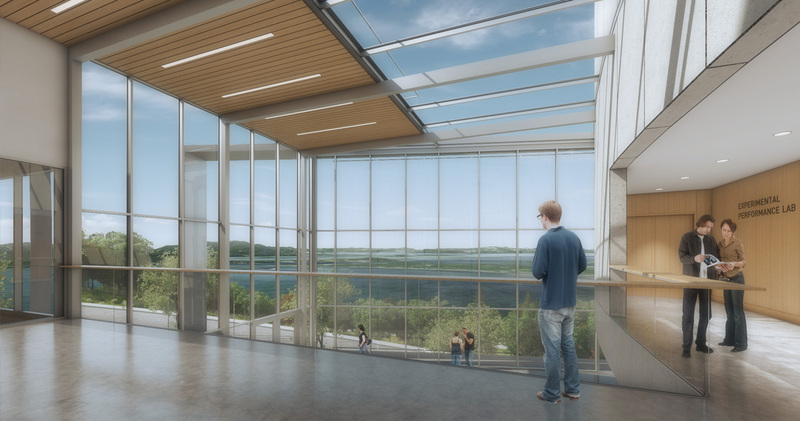 The estimated project cost is $69.4 million. 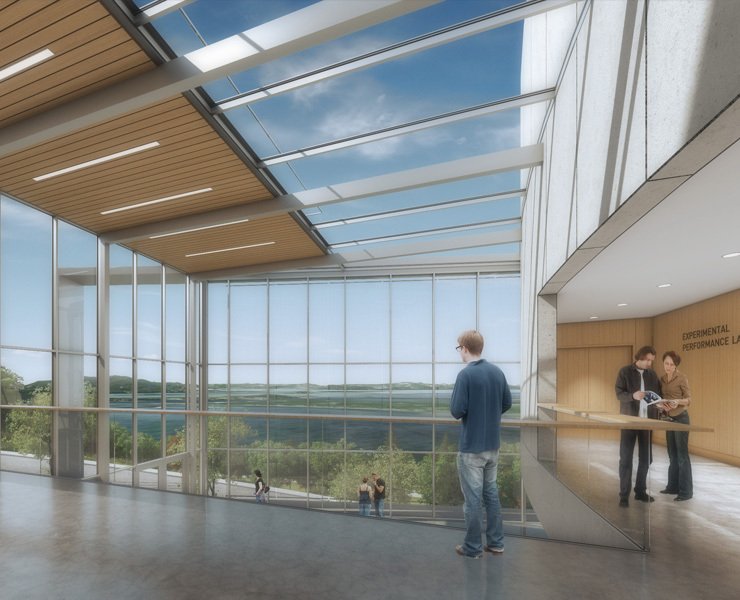 Opsis Architecture led the predesign effort with assistance from RMC Architects.